This is my latest encaustic painting, "The Protectors" and I am thrilled with it, it's new home, and the story behind how it all happened. 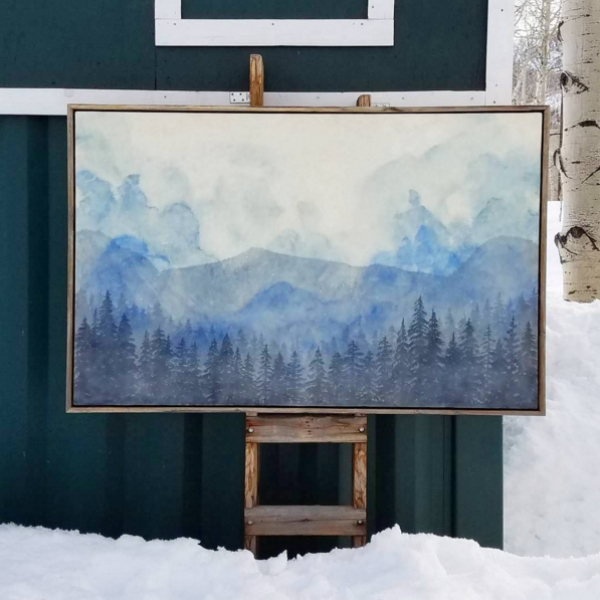 Debuting this week, this mammoth painting will be unveiled at Solitude Ski Resort. Bob Wheaton of Deer Valley and Solitude asked me to paint this special commission with the full proceeds of the painting's sale go to help save Bonanza Flats. We designed it specifically to fit in the Roundhouse at Solitude where it will live and remind us all of the importance of open space. I am so grateful for the incredible support of the amazing people at Solitude who made this happen - both for their support of my art and for protecting open space. Special thanks also to Gallery MAR and Utah Open Lands for their help. SO, if you're headed to Solitude for closing weekend head up to the Roundhouse to check this guy out.